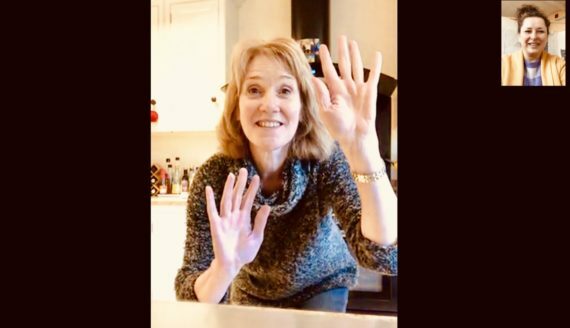 • Reviewing online videos of Mister Tumble a world leader in accessible performance for children’s television/theatre & study his performance with integrated Makaton. Visit a Makaton signed theatre performance in the UK. • Work with Makaton regional trainer Helen Adams to explore interpreting an extract from my performance. Meet choreographer & co-director of Company Chameleon Kevin Edward Turner to share research & ideas behind the work. Work collaboratively with the performer, choreographer & Makaton trainer in studio rehearsals. To support my artistic practice I work part-time as an Audience Interviewer in the cultural sector, which has informed my work & I regularly receive neurodiverse audience feedback of the lack of access to interpretation in museums & galleries, which is why I am passionate about developing creative & accessible performance for all audiences. 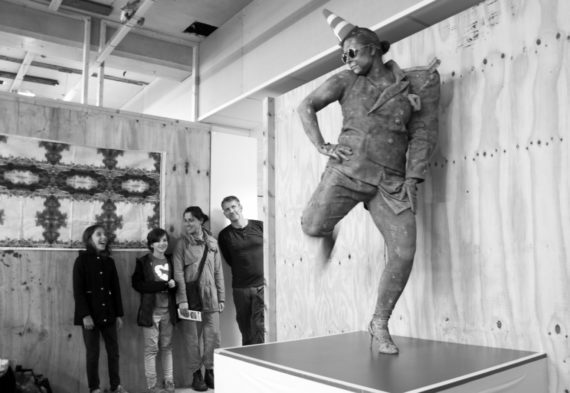 Being an interviewer can sometimes feel like being a statue as I can wait for up to an hour for a visitor to exit a venue. Although I have put this time to good use as you learn a lot about audience engagement or the lack of it by being still in an institutional environment. What is Makaton & what are the benefits? I am personally drawn to Makaton, as it is a performative language, which is an extension of our natural gestures, it is inclusive & fun to do. Makaton can be helpful for children or adults of any age, with individual needs or a combination of needs. Children & adults who have problems communicating but don’t have a learning difficulty use Makaton. This includes babies who have not yet developed speech, people whose first language is not English, those who have lost speech because of an injury, illness & those with memory problems. Makaton can help to support introducing new concepts & can develop literacy & language skills (Makaton Charity, 2019). As a neurodiverse artist I have found speaking & signing with Makaton has really helped me to simplify how I talk about my practice in a clear way. My Makaton journey started with learning some basic British Sign Language (BSL) so I could communicate in my interview job with deaf visitors. 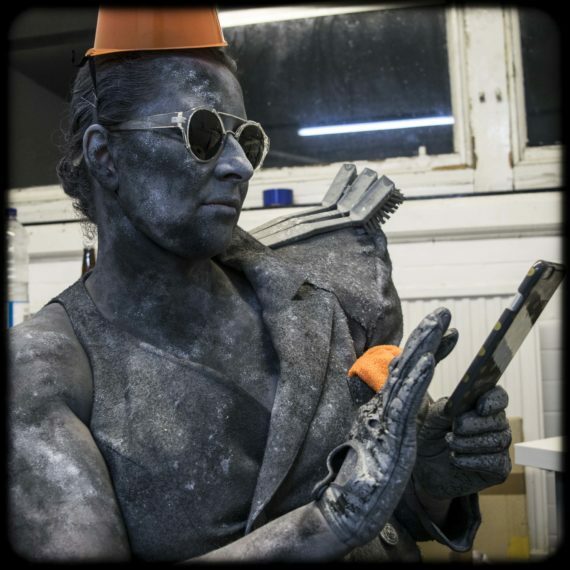 I had incorporated the BSL sign for ‘monument diversity’ into a living sculpture performance as I love the expression of sign although I realised that if you where not deaf or a BSL user you would not know what the sign was it would just be viewed as movement. This has troubled me as I want my work to communicate more & be less abstract which is what led me to exploring Makaton language which is much more iconic in its use of signs & can be understood by everybody. I have a young child & I am very aware of the kids TV show Something Special presented by Mr Tumble, aka Justin Fletcher on CBeebies who performs using integrated Makaton. Fletcher plays two characters in the show, firstly as a version of himself & secondly a clown which allows a simpler format where the absolute key signs are presented with the use of props. I am learning from watching episodes of the shows about the speed of delivery, rhythm of speech & the importance of repetition throughout a performance. 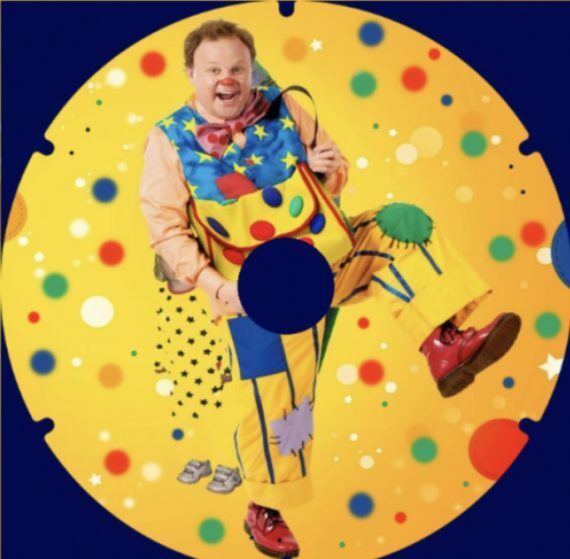 Mr Tumble has a very specific aesthetic that is colourful & circles are used extensively across the TV set design, performance wardrobe & the props. I have found on Youtube some earlier shows which where much simpler with a dominant white background & focussed object areas to sign about, that I actually prefer as I can find all the colours a bit of a distraction. 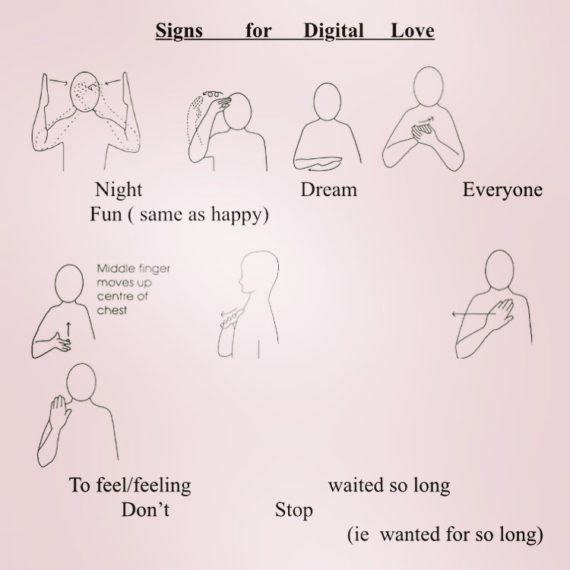 To learn the correct Makaton signs to a new song Digital Love by Daft Punk I am using in my Unknown Statue performance I am working 1-2-1 with a Helen Adams, Regional Trainer/Speech & Language Therapist who is supporting me to translate the words into signs & symbols. It’s really exciting to see how the lyrics have been interpreted & I am starting to rehearse them in the studio. I plan to have a Skype rehearsal with Helen next week which is a new experience performing through a video link. We aimed to work together with a choreographer but due to his work commitments we will explore his input in May time. 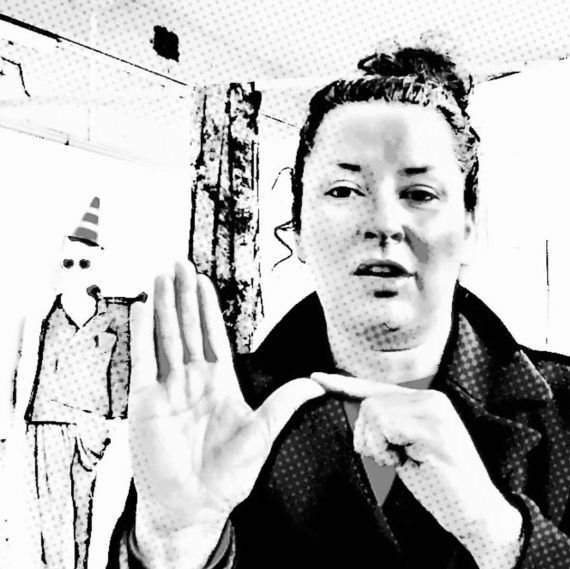 For now I am learning the basic Makaton structure of the song & developing an early version of the performance that I will be showing at the end of the month at Haphazard, Z-arts a live art event for families which I am really excited about putting this research into practice.